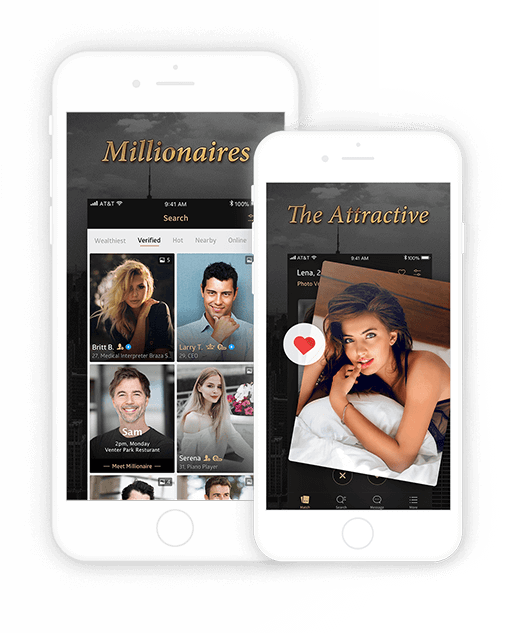 LoveBlock (LB) is the most innovative Blockchain technology solution for online dating worldwide. Based out of our Singaporean labratory, LB is developing an infrastructure to eliminate fraud, scams and data breaches in the Online Dating industry.LB is closely working together with the hugely successful dating app Luxy (www.onluxy.com) who currently have more than 2 million users across the globe. 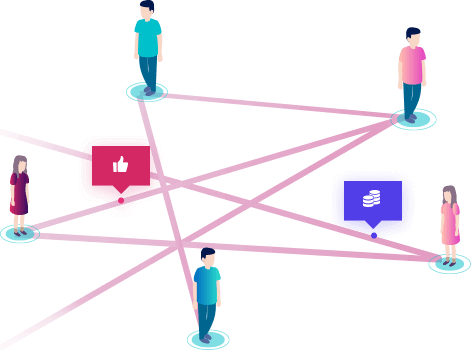 With LoveBlock, each user's behavior will be quantified depending on how valuable their contribution is to the network. More positive behavior will result in greater rewards for the user, thus motivating continued and meaningful use of LoveBlock indefinitely. The DDD token stands for Decentralized Database for Dating and it will be implemented on the ERC20 standard. DDD will be the sole currency for the LoveBlock community and used for transactions across the entire DApp network. Already DDD is operational as a token for use on the hugely successful Luxy dating platform. Last year Luxy generated $5.5m in total revenue, the first app to use DDD. After the DDD token becomes fully operational, in-app purchases using DDD will be priced at a discount compared to any other method. As a result, the token will be in high demand, secured by its millions of users and backed by a growing audience in numerous new markets. With DDD tokens, discounted purchases can be made in the DApps compared to other currency. Prices will be positioned in 1, Fiat currency (EUR, USD, etc.) and 2, DDD tokens. The latter are Ethereum-based tokens with fluctuating market price. DDDs are Ethereum- based tokens with a fluctuating market price. With this method, users are more likely to pay with DDD. A high rise in the number of participating Dapps will boost its demand. DDD becomes one of the few tokens with high value and growth demand in circulation. 25% of the tokens spent in Dapps will be burnt via smart contracts. 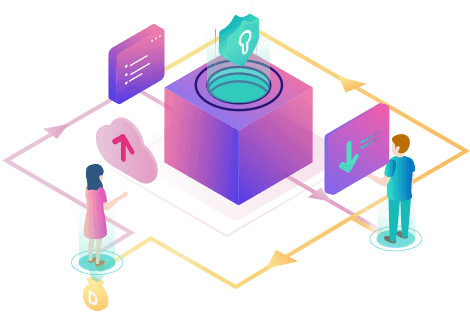 This mechanics reduces the number of tokens in circulation and results in a token price rise.This is where our investors can benefit. The more popular our service is, the higher the demand for tokens from the growing audience. LoveBlock requests the user to submit a real-time video or picture. LoveBlock scans, matches, and verifies the video or picture using facial recognition. User provides their unique biometric ID. Reported and detected scams are getting verified, and if applicable the data on the Blockchain will be updated and tagged. Updating the encrypted ID on the Blockchain for every profile picture change. LoveBlock writes the hashed, signed data onto the Blockchain. DApps are able to exchange data about scammers and can banish them from their platform. Scammers cannot use any dating app in the LoveBlock network any longer. The biometric ID can help local authorities to recover defrauded property. Download Luxy and buy premium features with DDD now! LoveBlock’s CEO and spokesman. He graduated from the University of Hohenheim in Stuttgart, Germany with a Master’s degree in Management and worked several years at the financial group Wüstenrot & Württembergische, being a Brand Manager accompanying brand launches. He has a range of technical competences such as: brand building, market positioning, content marketing and communications from taking care of W&W brands and managing the PR of a dating service. After living five years in England, she holds a Bachelor’s and Master’s degree in Finance from Exeter and the Queen Mary University of London. Additionally, she gained experience at ICBC (Industrial and Commercial Bank of China), the largest bank in the world. Brenda has a wealth of financial data and fintech understanding. She is a Blockchain enthusiast, manages financial aspects and is taking care of LoveBlock’s Business Development and solutions for user needs. Having studied a Master's degree in Banking and Finance in the UK, Anish has an in-depth knowledge of the innovative technologies set to take over the world of finance and payments. He spent time at Boston University learning about the growth profile of Start-ups into world-leading firms within the city and beyond.This included time spent at the world-renowned MIT and Harvard Universities. He has worked on Start-Up projects himself including a taxi application and a payments platform. Anish's love for new innovative technologies set to take over the world has brought him here to LoveBlock. He is responsible for compliance and security issues, playing a key role in ensuring LoveBlock will safely and accurately meet the needs of its users and its legal requirements. She has more than 5 years of experience in the online and dating industry. Her various competences among market information procurement and strategic marketing enable the growth of her previous employer. Tiffany has been successfully promoting a dating product of ten million users in North America to reach the top 30s of Apple’s App Store sales ranking. Due to her abundant sales experience and resources, she controls LoveBlock’s Marketing. She graduated from China’s Lanzhou and Kazakhstan’s Ablai Khan World Languages University, majored in Russian and International Relations with key attention from the Chinese Ministry of Education. She served as European Marketing Manager at Shiwai Foreign Languages School before managing successfully the Customer Service Department at an Online Dating Platform. Lena’s knowledge of the Online Dating Environment and its processes ideally qualify her to be responsible for LoveBlock’s Daily Operations. Starting her career by gaining skills in disruptive IT environment, Marie laid the foundation to be a product manager for Hopster a learning and TV platform for children. Her focus lay on system architecture and customer engagement. She masters the skills of retention/churn, scrum, user engagement and is a certified Scrum Product Owner. Marie is contributing her capabilities to LoveBlock as Product Manager and Architect.She is responsiblefor the product and system architecture. He graduated from Kunming’s University of Science and Technology. Paul worked several years as senior engineer in the international department of WeChat, being responsible for its international system development. His experience ranges from building technical architecture to core code research & development experience of products with hundreds of million users. Paul is LoveBlock’ s head system engineer and a senior researcher in Ethereum and EOS technology. Hugo is a Software Engineer graduated from Cardiff University. He worked on different projects from website design to Android & iOS development before he focused on Blockchain technology. Hugo is an enthusiast in Cryptocurrencies and ICOs. His personal interests include cyber security and he is contributing his talent in LoveBlock’s system development. He obtained a Master’s Degree in Computer Science from the Technical University in Berlin. He worked together with many Start-ups as Data Engineer and Consultant. Tobias is an excellent researcher and Blockchain Architect focusing on the development of the Ethereum Chain. He is responsible for the security design and enforcement of LoveBlock’s Blockchain. Ahmad is a Marketing & Communication expert and a Blockchain advisor. He is a Start-up Mentor helping to rocket businesses. He provides consultancy to fortune 500 companies, among for the deVere group and Canon. Holding an MBA from Warsaw’s Skarbek Graduate School of Business Economics in Poland and a Doctoral Degree from Lancaster University, UK, he became CEO of ITKeyMedia, the biggest IT and tech news corporation in Poland that helps companies increasing their ROI. Ahmad portrays his passion for cryptocurrencies by advising ICOs. He is researching Blockchain technology and AI at the MIT in 2018 and now joins LoveBlock to contribute with his knowledge and skills. Márcio is a professional football player and a crypto enthusiast. In 2015 he went to Bahrain to play for Bahrain First Division League. And in 2017, he joined AREMA Indonesia, where he was the Vice National Champion. In 2018, he returned to South America and is now under contract of Liga de Loja of Ecuador. Márcio is an active investor in cryptocurrencies, especially Ethereum, and has been a senior researcher since 2015. He has worked with various ICOs and is now providing LoveBlock with valuable insights. Coming from Brazil, Márcio totally understands the problems facing online dating and truly believes LoveBlock is uniquely qualified to handle these problems. Prof. Dr. rer. nat. Joe Ludewig is emeritus professor for Software Engineering. He researched at the Brown Boveri Center, Switzerland from 1980 to 1986, was habilitated in 1986 at the Swiss Federal Institute of Technology in Zurich until he founded the Institute of Software Engineering at the University of Stuttgart in 1988. His core research areas include software project management, software processes, audits & quality management and network effects in software technologies. Joe sees Blockchain as the next major disruptive change in technology and is taking a look at the capabilities by bringing together the concepts of decentralization and operating systems. Interested in investments or partnerships with LoveBlock?